Is Mom or Dad insistent on staying in the home they’ve owned for 40 years? Does Grandma need a companion who can go shopping or play cards with her? Have you broken your hip and need someone on a short-term basis? Are you the sole caregiver/companion for a sick spouse and need some respite care so that you can get out to do the grocery shopping, or go to you own doctor’s appointments? Is Grandpa recovering from surgery and needs a little assistance? No matter the situation, Senior Resources, Inc. provides families with trained, compassionate and knowledgeable caregivers or companions around the greater Los Angeles area. We understand that in many cases staying at home is the best solution however our personal non-medical caregivers can work in any environment including at your home, independent or assisted living communities, hospitals, convalescent homes, etc.). What services do in-home caregivers/companions provide? 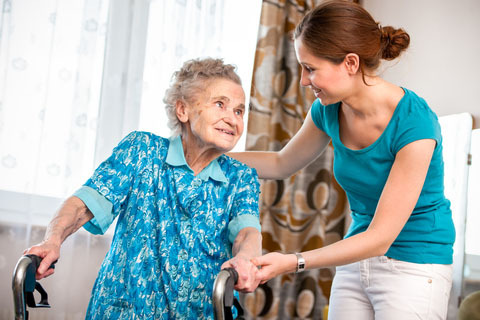 As part of our goal to provide our clients and their families with compassionate and dignified care, Senior Resources, Inc. works with trained caregivers/companions with years of extensive experience. For your protection and peace of mind, the caregivers/companions are licensed, bonded and insured. In addition, all the caregivers/companions have been background checked. If English is not the language spoken by the senior or the family, we have caregivers/companions who speak at least one of 26 languages. We are confident we can find a caregiver/companion who is fluent in the language your family is most comfortable. In addition, we will provide an in-home safety inspection, offering suggestions for improvements, provide crisis intervention, or arrange for durable medical equipment (DME) such as wheelchairs, hospital beds and canes. Contact Senior Resources, Inc. and find out how we can help your family members live with dignity.